Osprey Talon 22 Reviewed - To Buy or Not in Apr 2019? The Osprey Talon 22 is a super durable pack that’s roomy but lightweight. Like most Osprey brand packs, the Talon 22 has a ton of features that make it a versatile option for a variety of activities. The bag isn’t just a workhorse, it’s beautifully designed and even offers wearers the option of using its hydration compartment. Whether you’re a run commuter, cyclist, or hiker, you should think about adding the Osprey Talon 22 to your gear rotation. The bag has so many features that there were even some users who complained about it being overwhelming. The Talon 22 is not for the minimalist. Instead, it’s the perfect pack for the hyper-organized athlete who wants to make sure their bag has a place for everything. 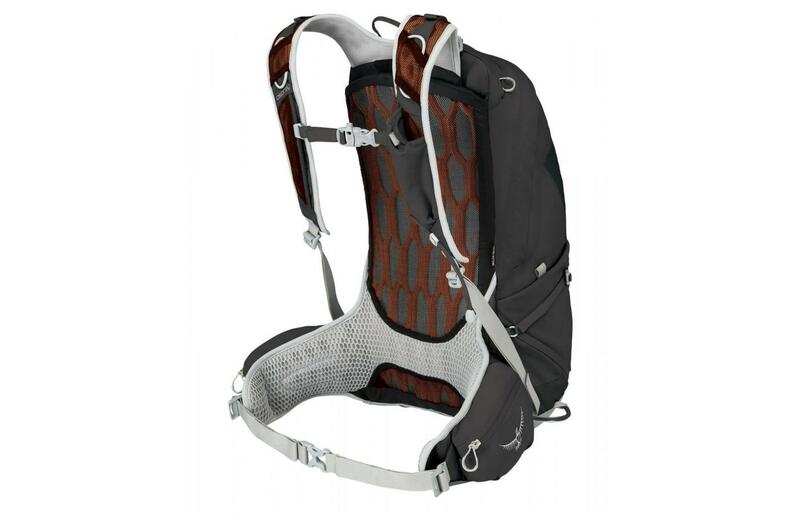 The Osprey Talon 22 is a backpack that provides users with storage and hydration. One cool - and useful - feature of the pack is that the hydration compartment is separated from the rest of the pack, so it's easy to refill your water bladder if it's empty without having to awkwardly take it out and stuff it back it and jumbling all your supplies in the process. The Osprey Talon 22 is a versatile pack that can be used for cycling, hiking, and camping since it offers hydration but also plenty of space. The bag also has a spot for a helmet, making it a great choice for cyclists or those who commute to work on a bike. The bag has plenty of bungee cords to hold a variety of accessories and even a spot to attach a blinker light for visibility at night. You'll also find a whistle attached to the bag's chest strap. But what about pockets, you ask? Not to worry, the bag is well equipped with additional storage space. There are pockets on the sides of the bag and in the hip area and there's a large expandable outer pocket. The Osprey Talon 22 is well-ventilated and uses AirScape technology to help ensure the back of the back breathes even on warmer days. The front pocket of the bag even features drainage holes so it's a great spot for wet items. For active commuting, this pocket is a great place to store sweat-soaked clothing. 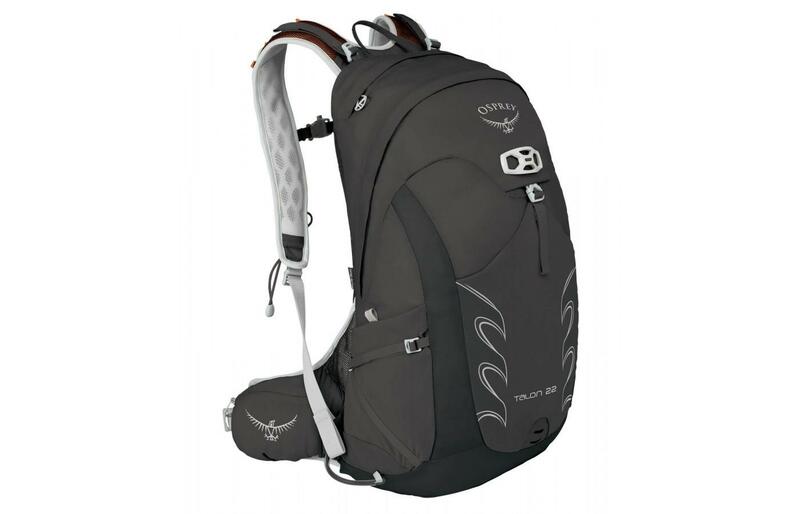 The Osprey Talon 22 is a comfortable bag, largely in part due to its super adjustable fit. The straps, too, are well padded and fit the shoulders well. The majority of reviewers found the bag incredibly comfortable and easy to wear, even on longer outings or hikes. No matter whether the bag is packed to the brim or empty, it never feels heavy and doesn't jostle out of place easily. The Osprey Talon 22 comes in two sizes: S/M or M/L. You can also add on to the waist belt if you need more wiggle room. At 26-ounces, it's not a super lightweight pack, but the tradeoff is more storage space and a larger hydration reservoir sleeve. A few reviewers found the pack too small for their needs, but since Osprey offers plenty of pack options, there's something for nearly everyone and that doesn't make the Osprey Talon 22 a poor choice. The Osprey Talon 22 is actually lighter than the previous version of the pack. Keep in mind, the bag's capacity is either 20L or 22L depending on the size chosen. The bag also has seven pockets total on the outside of the bag so there's lots of room to store all your little supplies. There's a small protected stash pocket at the top of the bag, too. Most reviewers found the bag was big enough to fit everything they needed but some noted that not all bottles will fit in the side pockets, which disappointed some users. The Osprey Talon 22 holds up in not so stellar weather conditions and does a fantastic job of keeping your stuff dry. Reviewers agreed that the bag is extremely durable. It's made of high-quality materials and the company is known for its excellent products. The bag even comes with a Lifetime Guarantee, which can give you confidence that you're buying a quality product. The Osprey Talon 22 doesn't come with any accessories but is compatible with some accessories sold by Osprey. A rain cover, sold separately, fits the bag and provides protection from inclement weather. 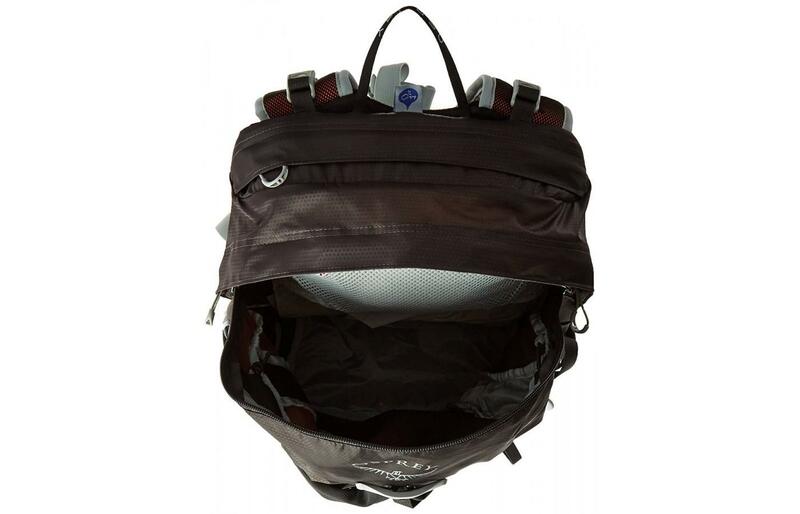 The bag also has a separate spot for a hydration bladder, but it must be purchased separately. Some reviewers were disappointed that the bladder was not included in the bag. The Osprey Talon 22 is available in several colors including dark grey, green, blue, and red. The bag features a large Osprey logo on the side and at the top of the bag. Overall, it's a beautiful design making the Osprey Talon 22 a super attractive piece of outdoor gear. If you decide to buy the Osprey Talon 22, you'll get your money's worth. The bag has plenty of features and is super high-quality. It's highly adjustable, comfortable, and can be used for a variety of situations and activities. If you're looking for a backpack with a decent amount of space that gives you the option of adding a hydration reservoir (should you need it), you should consider the Osprey Talon 22. 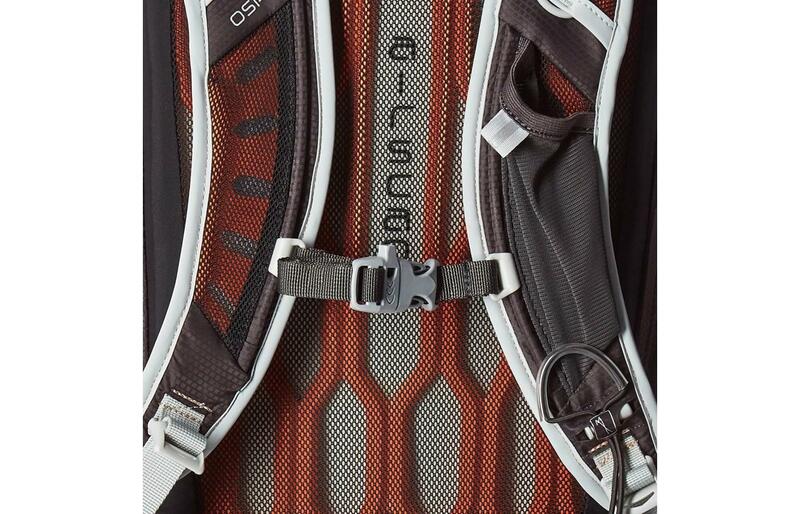 Osprey's high-quality line of products deserves your consideration. If you only need access to hydration once in a while, don't worry since you can opt not to use a bladder with the bag. It's not built-in, so you don't need to worry about a useless accessory adding unwanted weight to your pack. For those who need a hydration option, the bladder fits easily into a separate compartment which makes refilling quick and no-fuss. The bag also has plenty of pockets to store all sorts of items within easy reach. A Helmet LidLock attachment allows bicyclists to carry their headgear handsfree when they're on the move. All the extra features alone make the Osprey Talon 22 an excellent purchase.